The Dark Crystal: Age of Resistance is Set for Netflix and has a Trailer! 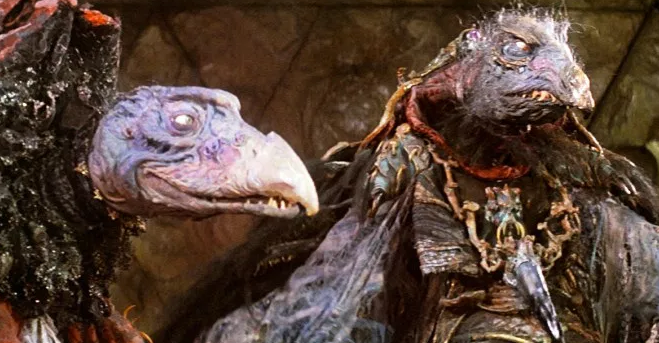 Netflix has secured the new tv series ‘The Dark Crystal: Age of Resistance‘, which is a prequel series from Jim Henson’s 1982 opus ‘The Dark Crystal‘, which of course was many of our favorite childhood movies growing up. Director Louis Leterrier (Transporter I & II, Now You See Me) will executive produce and direct the series, which Netflix has given the standard 10 episode order, which takes place many years before the 1982 film. The series will be filmed in the UK with tons of practical effects from Jim Henson’s Creature Shop and Brian Froud, who was the original film’s designer. Again, I’m a big fan of The Dark Crystal, and I’m always 100% in with anything that Jim Henson’s company does. It will be great to head back to this universe, but I hope it stays practical and nostalgic and doesn’t mess too much with CGI effects. Keep it with the story and characters and we will have gold on our hands. I might need to Halloween it up this year as a Gelfling. This entry was posted on Thursday, May 18th, 2017 at 11:12 am	and is filed under Film, News, Television. You can follow any responses to this entry through the RSS 2.0 feed. You can skip to the end and leave a response. Pinging is currently not allowed. « Film Review: ALIEN: COVENANT! Don't turn around, unless you'd like to experience a great deal of pain over an even greater length of time. You-you know, just-just take whatever you want here. The only thing I want from you, Bruce, is the answer to a simple question: Where are Michael Scofield and Lincoln Burrows? ...three days ago, there were 105 inmates in the supermax wing of the U.S. Penitentiary in Livingston, Texas, where the brothers were allegedly sent. There are still 105 inmates there, and no one has been released during that time. Someone is playing a shell game, bruce. I'm just trying to find out who.